The teacher-student relationship has always been an important thread to follow when understanding composers and their work. In the Bach family, Hauser says that takes on an added dimension. Music had been the family business for several generations even before J.S. Bach was born. His uncles and cousins worked as instrument makers, organists, church musicians and court trumpeters, each passing on musical instruction to their children at home. In the extended family, that primarily took the form of keyboard lessons. 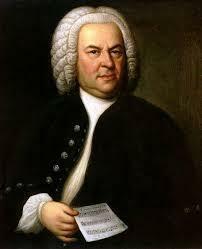 But Johann Sebastian made sure to teach his sons how to write music, too. And given how large his family was – he had twenty children, ten of whom survived to adulthood – the oldest became teachers to their younger siblings, as well. As one of the oldest children in the family, all of Carl Philipp Emanuel’s music training came from his father. There were lessons at home, where he learned about music theory and how to play the keyboard. Once he entered school, C.P.E. also sang in a choir, but even that was directed by his father and he was performing music composed by his father. Even when he studied law at the University of Leipzig, C.P.E. lived at home and continued working as his father's musical assistant. 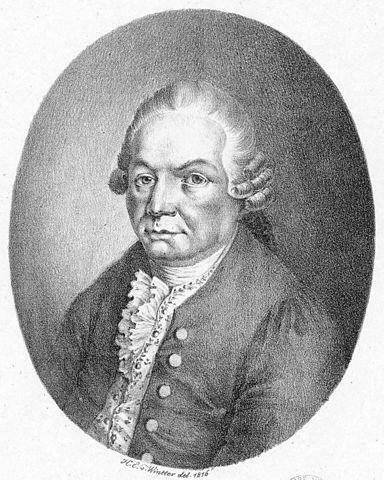 Johann Christian was the youngest son. Things started similarly for him, with instruction from his father as soon as he was old enough to follow along. But those lessons must have started around the same time the elder Bach started losing his sight; others in the family surely augmented J.C.’s education. What’s more, before J.C. reached adulthood his father died. Older brother C.P.E. stepped in as J.C.’s guardian and teacher. The younger Bachs’ music does show signs of their father’s influence. Unsurprisingly, Hauser points out, the pieces on this album show that both C.P.E. and J.C. Bach were skilled at writing counterpoint. The practice of intertwining melodies was incredibly popular during the Baroque era and J.S. Bach was perhaps the greatest master of the complex technique. That's especially easy to hear in the album's double concerto, with oboe and violin deftly weaving around each other. Listen to a sample of the double concerto from the album "Bach." At the same time, the sons were stylistic trailblazers. Their father’s career quite literally marked the end of an era: Many music history textbooks date the end of the Baroque to Bach’s death. In C.P.E.’s music, we hear the emotionally volatile “Sturm and Drang” style that briefly took hold in the mid-18th century. Hauser shows that with a concerto marked by florid, virtuosic passages for the soloist. Listen to an example of the C.P.E. Bach concerto included on the album "Bach." By the time J.C. came into maturity, the style of the day had settled into a mannered but clever classicism. A young Mozart was heavily influenced by the youngest Bach, and Hauser points out that the concerto he chose premiered in London during the time Mozart visited J.C. Bach in that city. He likes to think of the piece as possibly being one of the compositions that influenced the style of the composer who would become synonymous with the Classical Era that J.C. Bach helped usher into being. 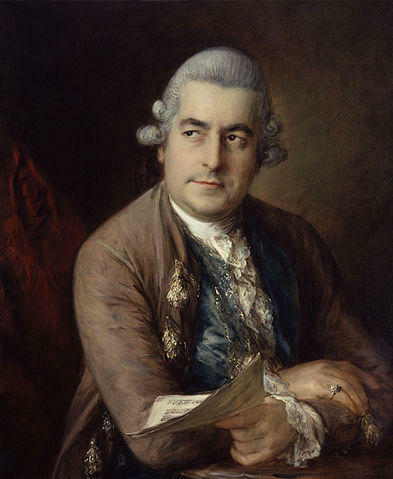 Listen to a sample of the J.C. Bach concerto from the album "Bach." As a performer, Jared Hauser says he’s very interested in that evolution of style. He says he prepared for the album in part by studying the music to look for those connecting threads. In one case, Hauser did something the Bachs often did in their composition lessons, copying down and arranging one of J.S. Bach’s concertos himself. That practice was once a common way for students to really get to understand the inner workings of a composition, and Hauser says it did give him insight into how the music fit together. It was also a practical matter. The Bach concerto cataloged as BWV number 1053 exists in versions for both oboe and harpsichord, but Hauser wanted to play flourishes and passages that only exist in the keyboard iteration. Hauser also wanted to understand how the oboe itself changed during the Bachs’ lifetimes. The Baroque oboe that J.S. Bach wrote for was a much more limited instrument than Hauser is used to playing. It has very few keys and a small range. By the time J.C. Bach wrote his compositions, instrument makers had made a number of technological breakthroughs, leading to an oboe much closer to the modern version. Hauser plays a modern oboe on every track of the album, but he spent some time rehearsing on the Baroque version of the instrument so he could have a sense of what sound and techniques would have been used originally. Johannes Brahms published three sonatas for the pairing of piano and violin, and next Tuesday Carolyn Huebl and Mark Wait will play them all in an 8pm concert at Vanderbilt's Blair School of Music. They've brought one for a live performance in Studio C, marked by conversational passages between the two instruments. Production delays on their new album certainly frustrated Nashville’s ALIAS Chamber Ensemble and Portara Ensemble, but ultimately the groups’ new album release got an apt release date: roughly 400 years after the death of the man who wrote their lyrics.